← # PCN-TV/ REVOLUTION DE COULEUR AU GABON: LE POMPIER PYROMANE, LA VIDEO QUI ACCUSE ! 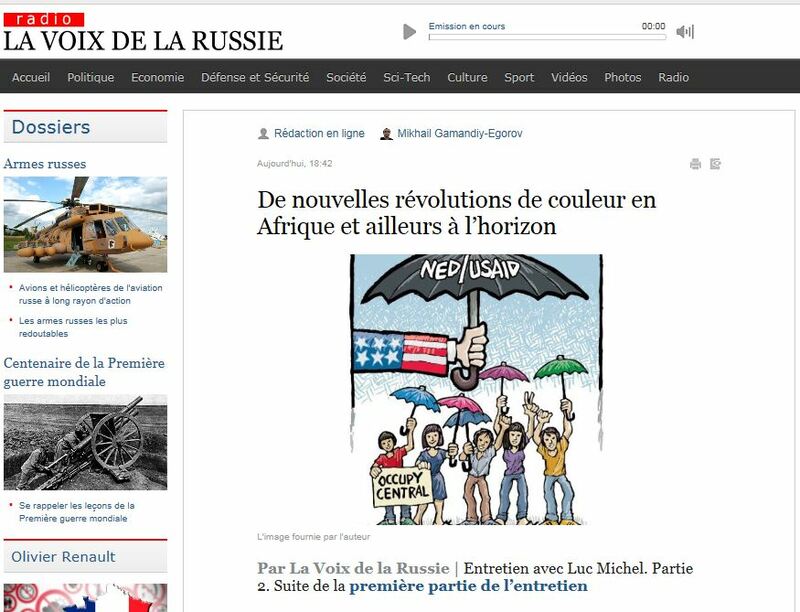 # LUC MICHEL SUR LA VOIX DE LA RUSSIE/ INTERVIEW CHOC (2) : REVOLUTIONS DE COULEUR. VOICI LE TOUR DE L’AFRIQUE ET DE LA CHINE ! This entry was posted in * Français, * LM/ Interviews 1985-2013. Bookmark the permalink.